Hey guys, it's great to be back! We traveled North to Cincinnati for Thanksgiving this year and had a great time with my family and even showed our kiddos where Mom & Dad grew up! Blog breaks are always nice because I always come back refreshed and ready to get creative again. Now I had hoped to have a Holiday decorating post for you today, but our tree is still not completely finished! I'll have that post up soon though. 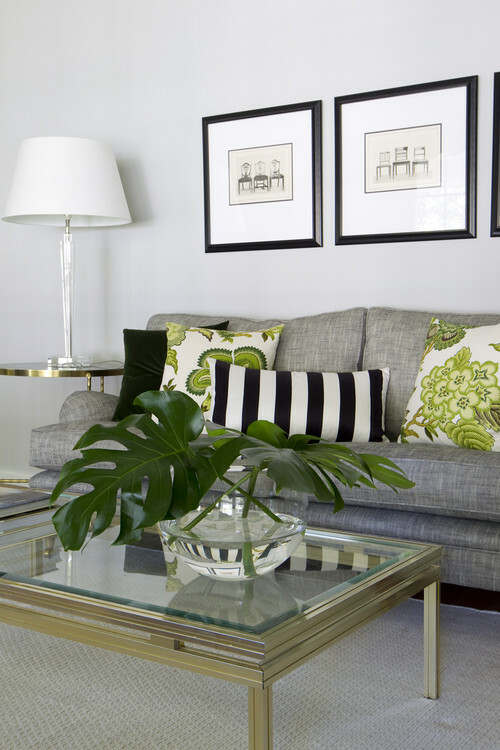 Ahhh from simple striped pillows and rugs to painted striped walls and even a bold striped upholstered love seat. 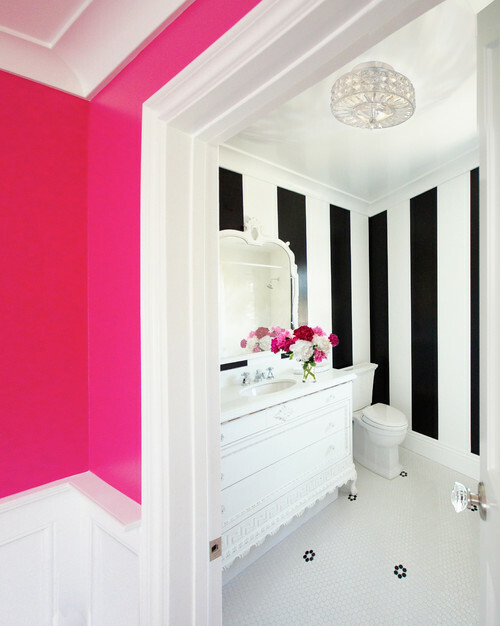 Graphic black and white stripes are a super fun design trend these days. And if you choose paint, a very affordable design element as well. 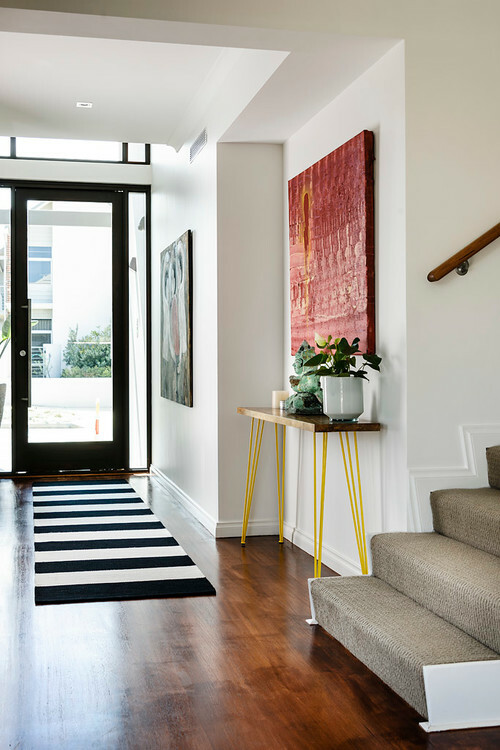 So if you've been thinking of creating a new look for your home in 2015, think about incorporating contrasting black and white stripes. The look is bold and provides the perfect backdrop for a fun pop of color too. I am a huge fan of black and white stripes Jane!! I would love that last black and white rug if I didn't have a furry dog. 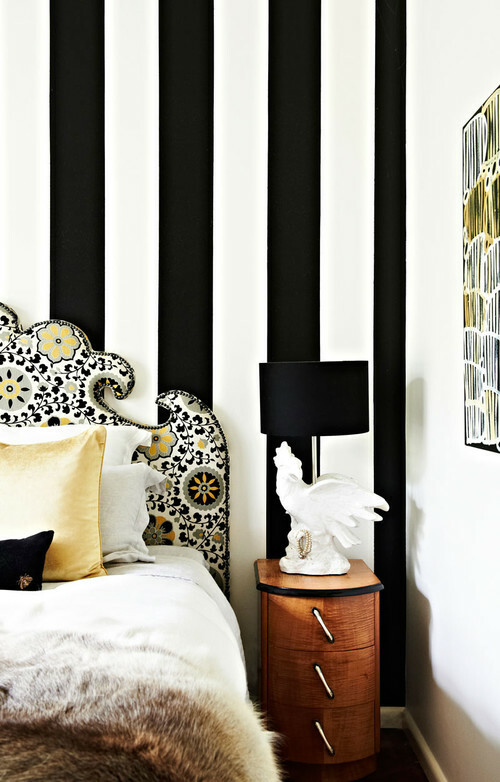 A bit of black & white goes a long way though like the image with the pillow. Just a pop of it is fun! I know Julia, what a fun and very bold accent wall! !